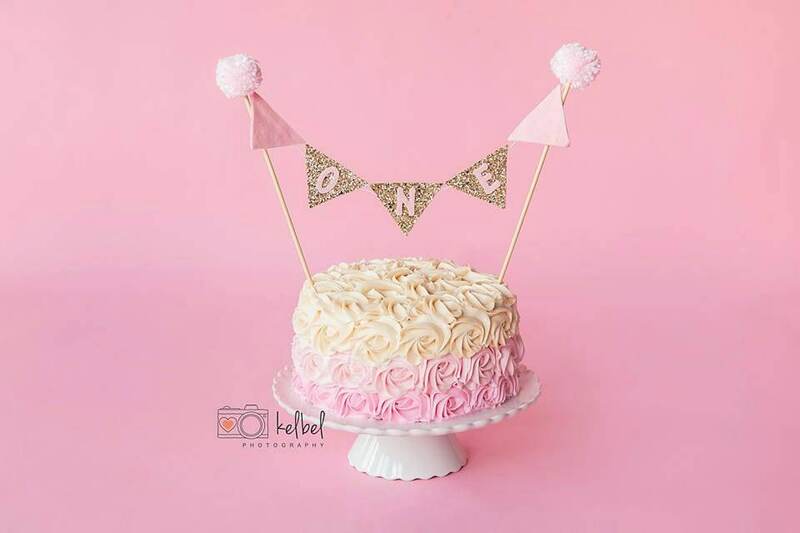 Our cute Cake Bunting shown in baby pink felt and Pale Metallic Gold Glittery fabric shown with "ONE"..
Flags measure 1 1/2" long with soft pom poms accenting the banner. So cute! And fast ship! It is nice! But very expensive.